Steel City Copper address, phone, website, and more. 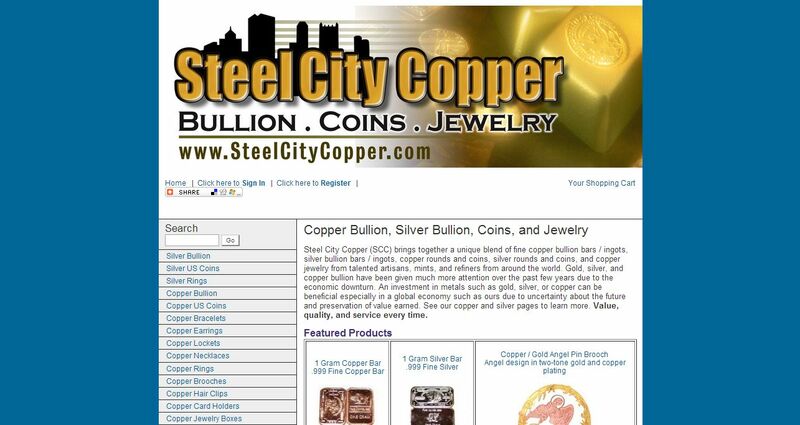 Steel City Copper (SCC) brings together a unique blend of fine copper bullion bars / ingots, silver bullion bars / ingots, copper rounds and coins, silver rounds and coins, and copper jewelry from talented artisans, mints, and refiners from around the world. Gold, silver, and copper bullion have been given much more attention over the past few years due to the economic downturn. An investment in metals such as gold, silver, or copper can be beneficial especially in a global economy such as ours due to uncertainty about the future and preservation of value earned.